Abierto de Martes a Viernes, de 9:00AM a 6:00PM y Sabados de 8:00AM a 7:00PM. Cerrado los Domingos y Lunes. Visit us for a relaxed and pleasant experience, our staff will make you feel right at home; we welcome your kids also. Experience the Dominican hair techniques; see why our clients keep comming back and recommending our services to their families and friends. 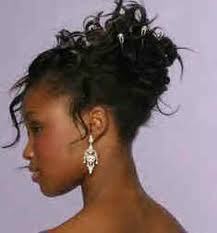 Please ask Cristina for VIP service and expert advice from a top Dominican hair stylist. IMPORTANT!!... WE WILL BE CLOSED ON THANKSGIVING, THURSDAY NOVEMBER 22 AND FRIDAY AFTER THANKSGIVING NOVEMBER 23.... WE WILL BE BACK ON SATURDAY NOVEMBER 24. ESTAREMOS CERRADOS EL DIA DE "ACCION DE GRACIAS" - JUEVES 22 DE NOVIEMBRE Y EL VIERNES 23 DE NOVIEMBRE.... REGRESAREMOS EL SABADO 24 DE NOVIEMBRE CON NUESTRO HORARIO REGULAR.--- LES DESEAMOS A TODOS UNAS FELICES FIESTAS!. Open Tuesdays thru Fridays, 9:00AM to 6:00PM and Saturdays 8:00AM to 7:00PM. We are closed Sundays and Mondays.